The exhaustion was starting to set in – obvious because my journals stop here. 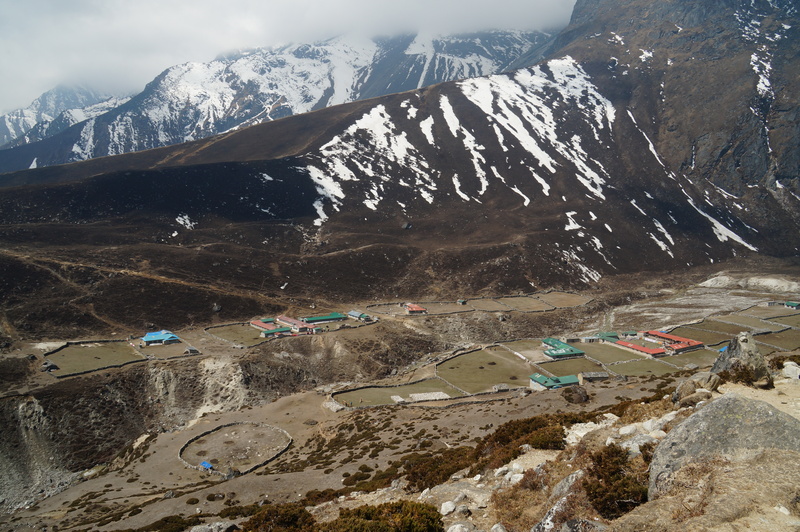 We were due to meet Wes and Tom in Namche Bazaar on the 28th. This meant we had 2 days to travel roughly the same distance we covered in 4 days on the way to Everest Base Camp. Not unreasonable – unless you have a history of knee trouble and dislike downhill even more than Nepali up. 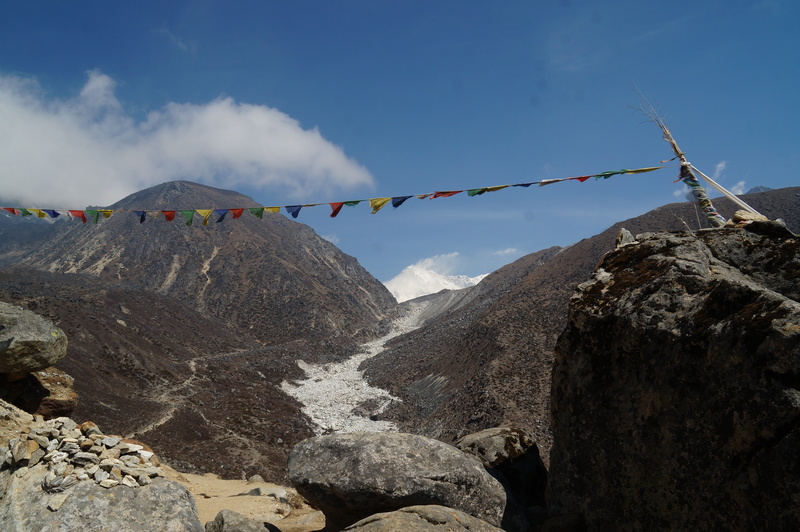 Working in our favor – traveling through a different valley and all new sites between Gokyo and Phortse Tenga. We started out slow, stopping at Taboche Tsho (Second Lake) and the First Lake for pictures as we travelled. We even happened upon the same pair of ducks that had greeted us at the Third Lake the day before. Looking back at Gokyo with a view of Cho Oyu behind us. 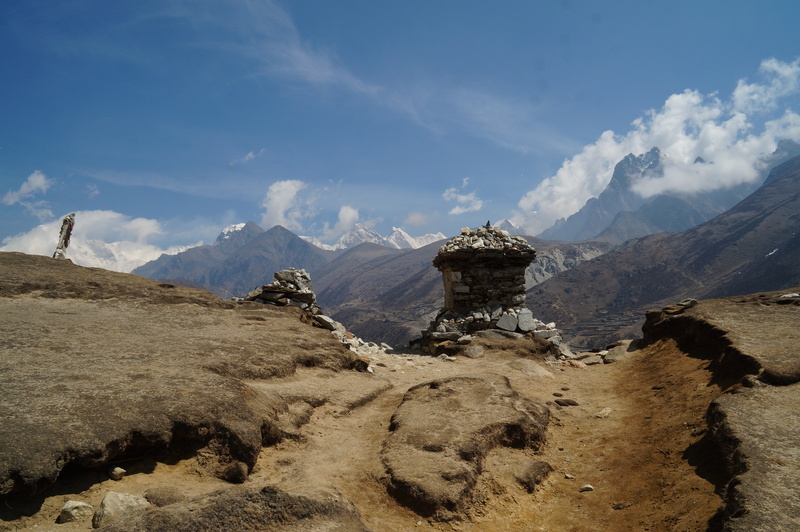 Looking back at Gokyo Ri. Still wishing I had the energy to climb it. A familiar pair of ducks at the Second Lake. 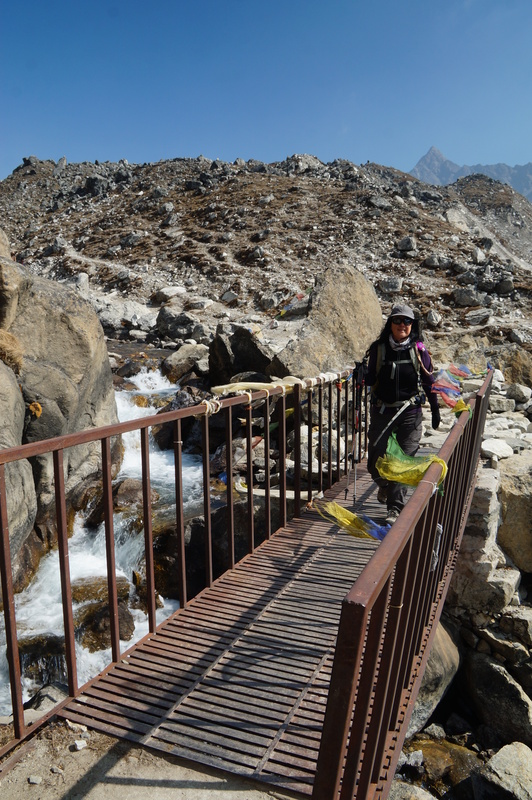 We said goodbye to Gokyo’s lakes and the Ngozuma Glacier and headed for Pangla, our first tea stop of the day. With miles ahead of us we chose not to linger, making Machermo in time for lunch. 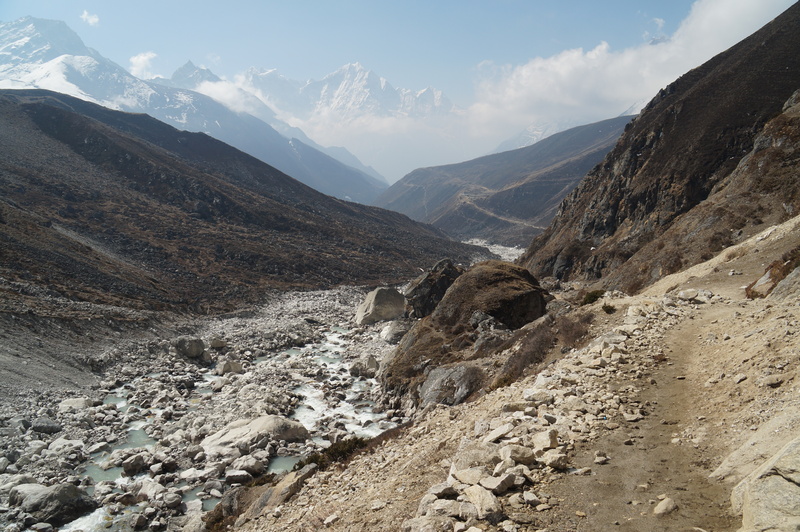 As we lost elevation we traveled a ridge on the western side of the valley, a nice Nepali Flat full of climbs in and out of river valleys that fed into the Dudh Koshi. 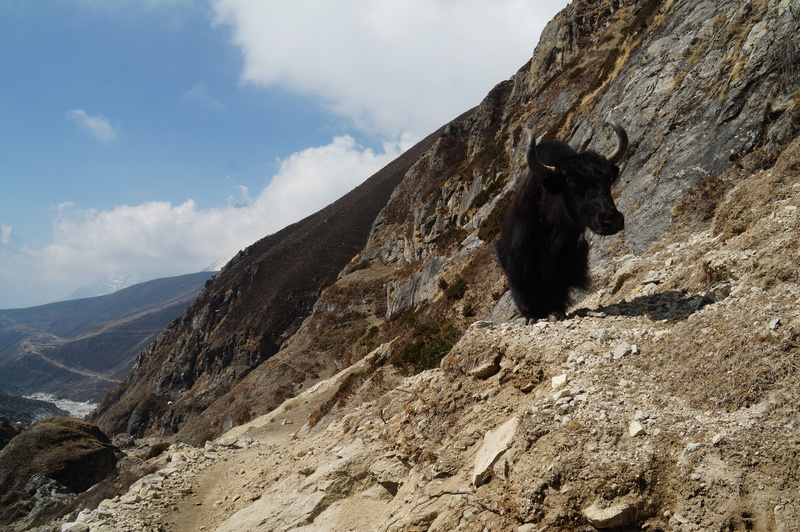 As we wandered through Dole and on to Phortse Tenga the landscape began to shift – waterfalls appeared, as did trees and soon we were back in the Rhododendron Forest that we had seen across the way in Tengboche on the way north. The weather also shifted and rain began to fall. We made it to our room for the night by mid-afternoon and spent the afternoon enjoying hot showers and games and feasts in the dining room. This was perhaps my favorite lodging on the whole trip. I awoke in the middle of the night, looking out the window my cot sat in, reached for my glasses, and just stared at the milky way for what seemed like an hour. Magnificent.